Grab your friends and family, jump in the car, and travel through time in Washington County. Originally named Charlotte County after the English queen and renamed in 1783 after the first President of the United States, Washington County's name is not its only feature that is overflowing with history. From museums to military sites to mining, you'll love learning about the area's past and delving into these historic sites. Stop by Rogers Island Visitor Center, managed by the non-profit Rogers Island Heritage Development Alliance (RIHDA), to learn about Rogers Rangers and the French & Indian War. Rangers, like U.S. Army Rangers? Yes, exactly! Rogers Island was named for British Major Robert Rogers and was where he trained his special forces group who employed guerrilla warfare. His "Ranging Rules" handbook - written in 1757 - laid the groundwork for the modern day U.S. Army Rangers, and the island is considered their "spiritual home." Check out exhibits that tell the story of the Fort Edward area from the time of the earliest Native American settlements through the Revolutionary War. The center is open to the public from May 1 through October 31 every year, Tuesday - Saturday from 10 am - 4 pm, and Sunday from 1 pm - 4 pm. 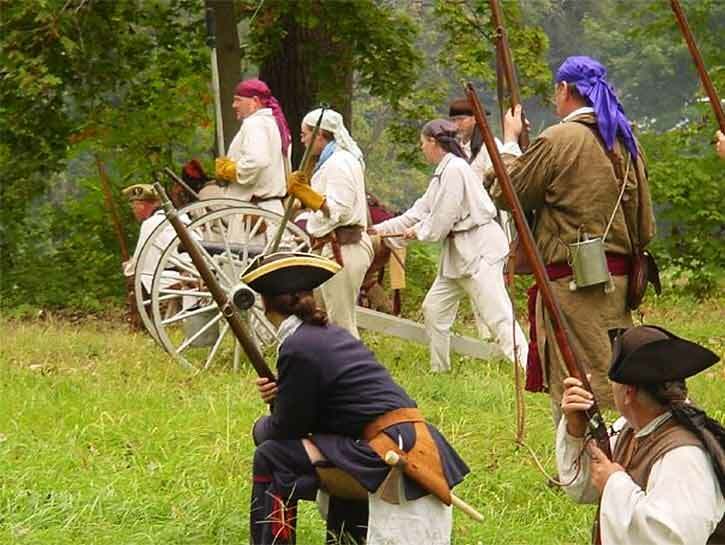 A piece of advice: plan your visit in September to catch an annual French & Indian War Encampment (see the picture above for a sample of the re-enacting fun)! Constructed in 1772 from timbers taken from the ruins of Fort Edward, the Old Fort House Museum served as a boarding house and a single family home through the 1940s. The house's most famous resident was Solomon Northup, the author of 12 Years a Slave, who was married on the property in 1828 and lived there during the first years of his marriage. Tour the permanent exhibit dedicated to Northup, whose memoir was adapted into an Academy Award winning film in 2013, starring Chiwetel Ejiofor, Michael Fassbender, and Lupita Nyong'o. The house also hosts rooms from a variety of time periods, stretching from the 1770s to the Victorian Era and on to the early 1900s. But wait, there's more: the Old Fort House Museum located at 29 Broadway in Fort Edward includes four more buildings! Step back in time at the A. Dallas Wait Law Office, the one-room Riverside School House, the Toll House, Water Works Barn, as well as the Cronkhite Pavilion and beautiful gardens. The Museum is open daily from 1 pm - 5 pm. Admission is $5 for adults and free for children under 12. Head to where the wild things are: The Pember Museum of Natural History and Nature Preserve! 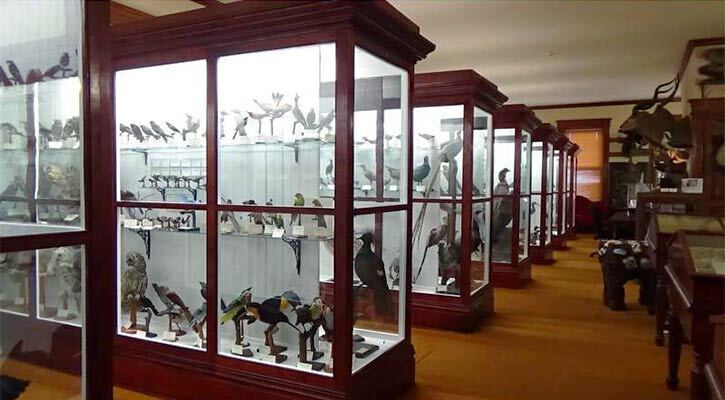 Ideal for family visits, The Pember Museum in Granville showcases the natural history of the area and offers a collection of 10,000 artifacts, animal displays including rare and now extinct specimens, lectures, and ongoing exhibits. Established in 1909 (along with the Pember Library located one floor down) by spouses Franklin Tanner Pember and Ellen Wood Pember, the Museum is the perfect place to visit Tuesday - Friday from 1 pm - 5 pm and on Saturday from 10 am - 3 pm the whole year round! Once you've soaked in all of the wonderful exhibits and collections inside the Museum, head to the Pember Nature Preserve for an outdoor adventure. Open year round during daylight hours and located just 7 miles south of the museum, you can hike the preserve's 7 nature trails and explore the 125 acres of sanctuary. Set your sights and your GPS for the Slate Valley Museum in Granville! The Museum features the local history of slate mining in both Washington County and the surrounding area through historic artifacts from the slate quarries and mines, displays, monthly exhibits from area artists, machinery, and more! The Slate Valley extends 24 miles along the border between New York and Vermont. Quarrying of slate deposits began in the 1840s, resulting in a multitude of immigrants moving to the area. Many of the quarries are still in operation today. Uncover additional history about the slate valley quarries at the Museum year round, Tuesday - Friday 1 - 5 pm, Saturday 10 am - 4 pm. Don't miss the boat and forget to visit Whitehall - one of the birthplaces of the U.S. Navy! When the Continental Army captured Whitehall during the revolution in 1774, American General Philip Schuyler commanded Benedict Arnold to build a fleet that could confront the British on Lake Champlain. Want to learn more? Of course you do! Head to The Skenesborough Museum in Whitehall to learn how 13 ships were built in Skenesborough harbor in 1776, view the personal items of Admiral Potter, let the kids play on a ship prow, and take a walking tour along a canal that's been in use since 1823. Open daily June through Labor Day, 10 am - 4 pm (Sunday noon - 4 pm) and from Labor Day through mid-October, Saturday 10 am - 3 pm, Sunday noon - 3 pm. Cross the canal to reach Skene Manor, a Victorian Gothic-style mansion that has been restored and preserved by Whitehall Skene Manor Preservation, Inc. Step inside this castle-like house to discover the wonders built by Judge Joseph H. Potter in the 1870s. Grab a bite to eat in the Manor's Tea Room, take a free tour, and stop by the gift shop while you're there! Open mid-April through mid-December, Friday - Sunday noon - 4 pm. You can even book the building for special events outside of regular hours. How would you like to step inside what is considered the oldest house in the entire Hamlet of Hartford? All you have to do is visit the historic Hartford Museum, a building that dates back to the early 1800s. Now managed by the non-profit Hartford Historical Group, the museum houses a vast collection of furniture, books, and memorabilia that showcase how life once was in this small community. But that's not all you'll find at the Hartford Museum. 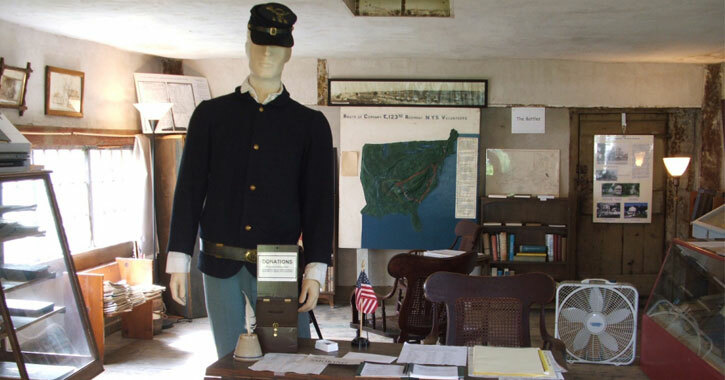 The site's other claim to fame is that it houses the last existing Civil War Enlistment Center in New York State! Today, the building's exhibits tell the story of the heroic men who enlisted there during the war and undertook a 3000-mile journey by foot and train from Hartford to the Battle of Gettysburg. Both the museum and the enlistment center are open for visitors on Sunday afternoons from 1 pm - 4 pm in July and August, and then at other times by appointment. School tours are also an option. Find out about Washington County history and have an outdoor adventure in the same place: Feeder Canal Park. 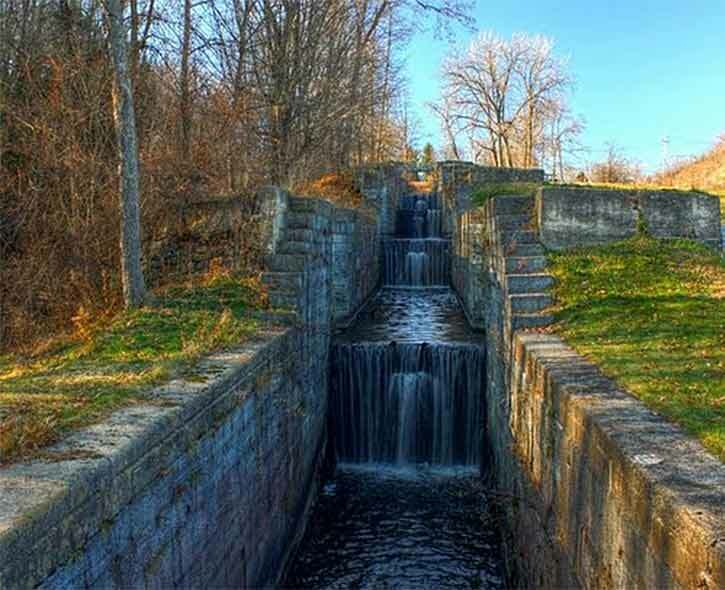 This historic canal travels from Glens Falls to Fort Edward, with a 9-mile park trail that follows the original 1820s canal system and is the perfect place for biking, walking, and stops along the way for picnics! It's also great for canoeing, with 5 miles of waterways. 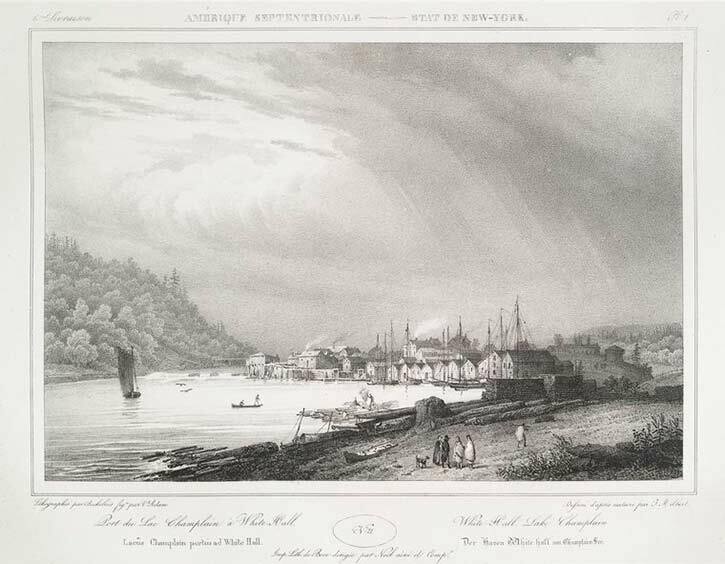 Learn how the Feeder Canal contributed to the development of northern New York while enjoying the fresh air. The park, maintained by The Feeder Canal Alliance, is open daily Memorial Day through Columbus Day, and stop by again in the winter once the snow has fallen for cross-country skiing! Washington County has a diverse and rich agricultural history. There are plenty of farms (ranging from apples to alpaca fibers and more), mills, breweries, and vineyards that carry on the tradition of farming today. Journey to one of these amazing locations to learn about agriculture in the county, visit with farm animals, and purchase local products! Mack Brook Farm (Argyle): Purchased in 1928 and primarily a dairy farm until 2003 when the family switched to beef cattle. Visitors are welcome to stop by the on-farm store to purchase delicious pre-cut beef. Battenkill Fibers Carding and Spinning Mill (Greenwich): Washington County's first cotton mill was established in 1804 and Battenkill Fibers embraces this history by continuing to process locally grown fibers. Tour their facility! Dry Brook Sugar House (Salem): Although the equipment for sugaring has changed since the 1940s, the Dry Brook Sugar House has endured in providing top quality maple products. Visit year round, eat pancakes during NY Maple Sugar Weekends, and take a sleigh ride when the snow falls. Since the 1700s, Washington County has continued to grow, while managing to retain many of its original structures. Covered bridges are a rare sight to see in New York today, except in Washington County where the bridges have withstood the test of time. 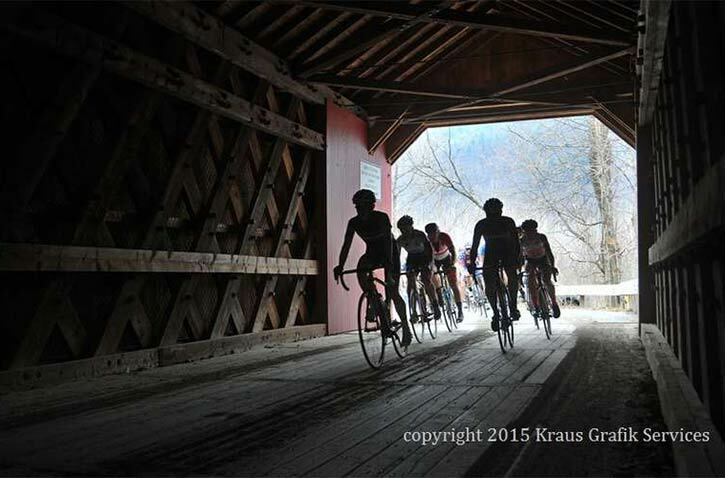 Based mainly around the beautiful Battenkill River in the southern parts of the county, the region doesn't just have one historic covered bridge, it has four that you can visit! Ready to go back in time in Washington County? Plan your historic tour through the region!